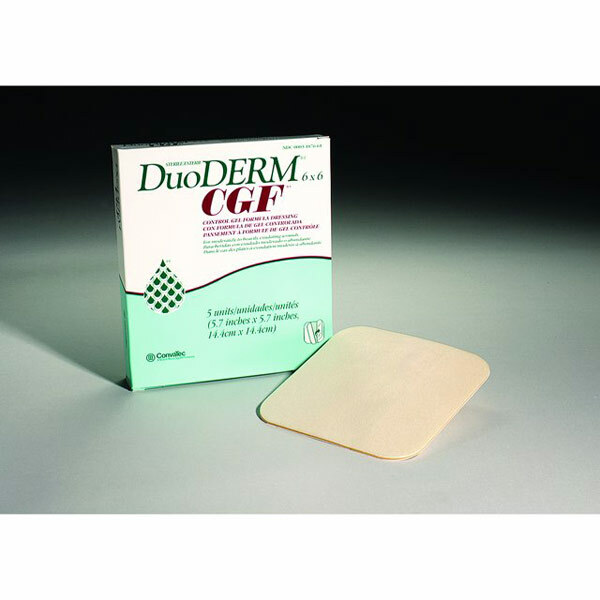 DuoDERM CGF Control Gel Formula Dressing DuoDERM CGF products interact with wound exudate and enable removal with little or no damage. Help protect against contamination. Can be used as primary or secondary dressings and remain in place for up to 7 days. Sterile. Box of 5 8" x 12" Dressings.